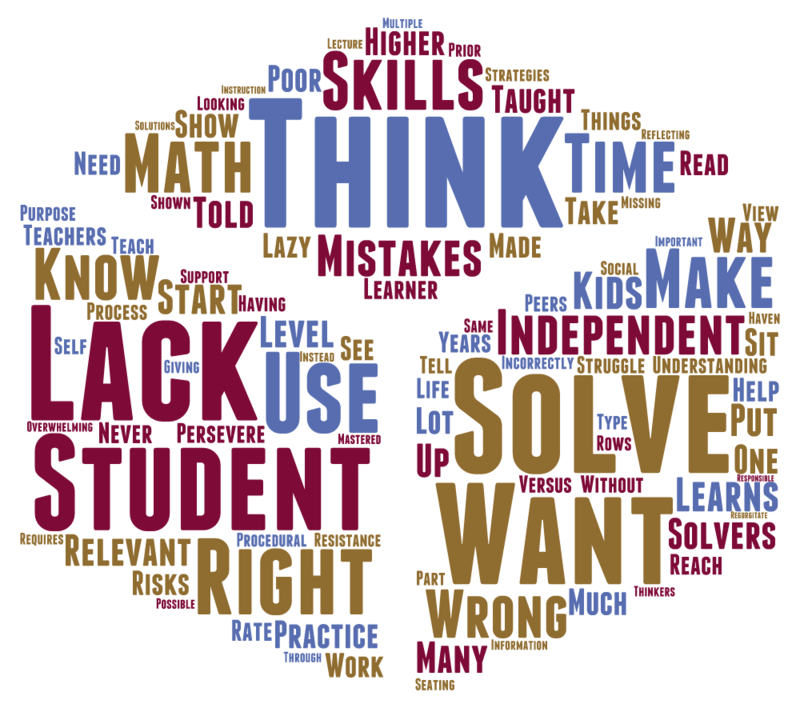 evangelizing the (digital) natives : What Do 42 Educators Think Is Wrong With Math Class? 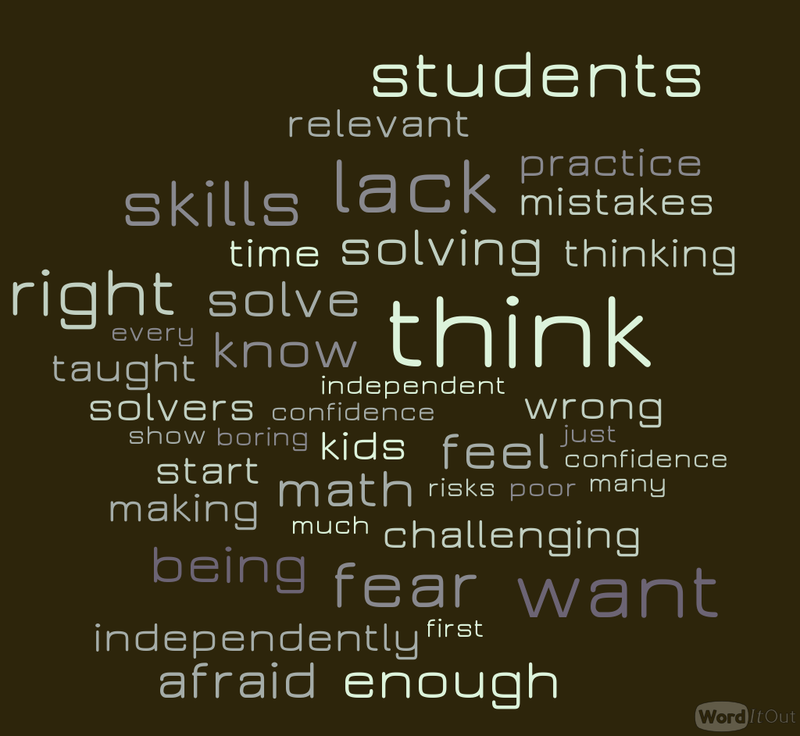 What Do 42 Educators Think Is Wrong With Math Class? At the beginning of my 3-Act Math Stories presentation today at METC, I prepped the audience to watch the beginning of Dan Meyer's TedTalk from 2010 by reflecting on what they felt was wrong with math class. The prompt: "What do you think makes it so hard for our kids to be independent, competent problem-solvers in our math classes?" I had them share their responses in a very low-tech method of throwing the paper wads to the front. Some of the audience enjoyed hitting me with their paper a little too much, I think. ;) Its an engaging strategy, but then you have to do all of the de-crumpling. LOL. 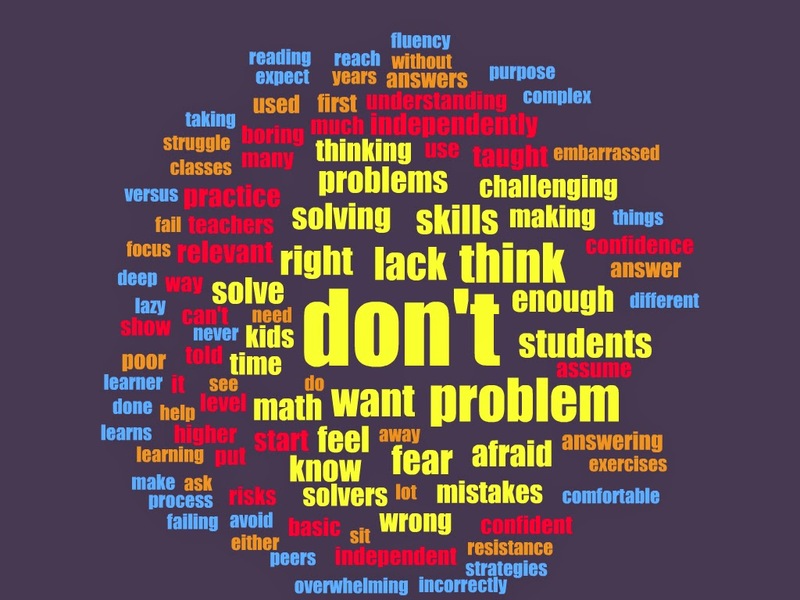 So what DO 42 educators at an education technology conference have to say about the problem with math class? I put together a few word clouds on Tagul, ABCya!, and WordItOut of their responses to pull out the themes. How do we get past these challenges? One problem I see to the solution is that "confidence as problem solvers" and "lacking basic skills" seem like problems that usually have divergent solutions. To build students' confidence as problem solvers, it takes the time and opportunity of giving them safe chances to fail, reflect, and improve their approaches. To build basic skills, there must be at least some layer of kill-and-drill practice. How do we do both? I only see this as possible when we double up kids' math classes. (which can have its own motivational problems). What can you add? What's wrong with math class?